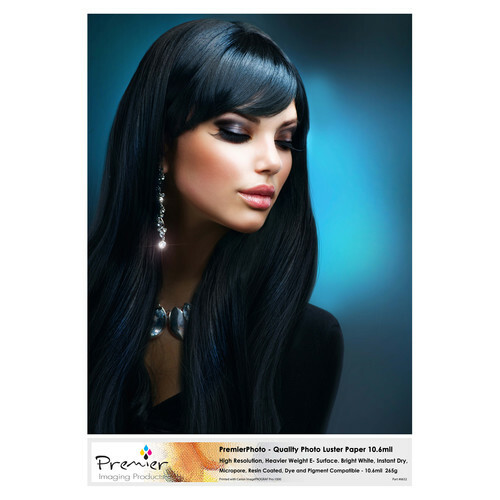 With a luster surface finish and micropore texture, this 100-sheet pack of 11 x 17" Quality Photo Luster Paper from Premier Imaging offers artists and photographers a luxurious E-surface for presenting their work. 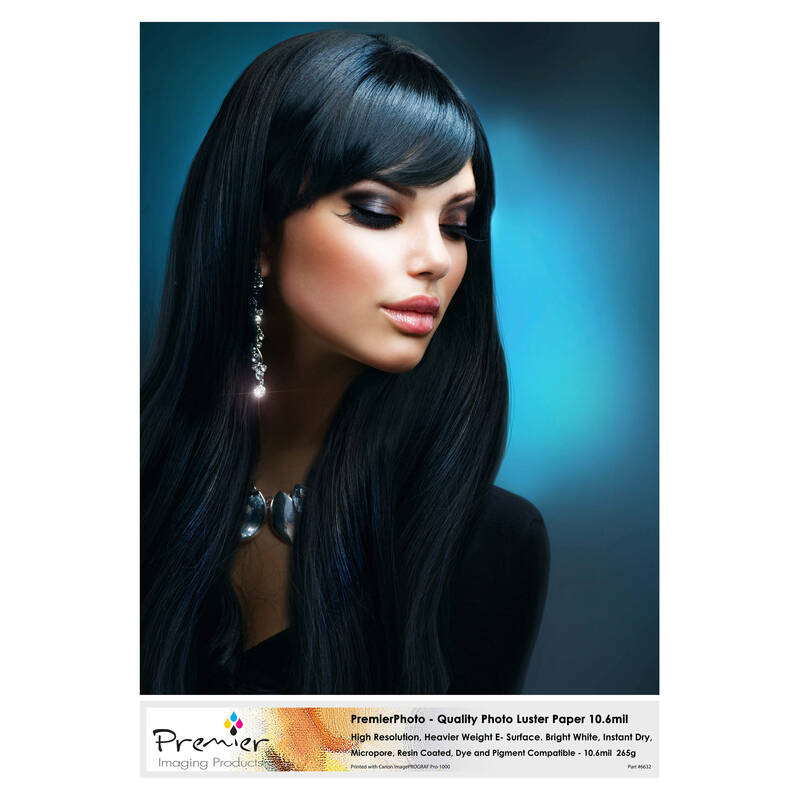 The resin-coated base offers a basis weight of 265 gsm along with a thickness of 10.6 mil. Also, it features a bright white finish thanks to the addition of optical brightening agents. The medium dries nearly instantly and is water-resistant to help limit damage from handling.